Despite the rise in the popularity of aluminium windows and doors and some reported statistical decline in sales of PVCu windows, aluminium windows are still subject to myths and incorrect assertions. Aluminium Windows will be more expensive than their PVCu counterparts but it is worth understanding why. This website offers a free service to help homeowners and the trade source the best suppliers of aluminium windows. We can also answer whatever questions you have about aluminium windows and doors. However it would appear from the diversity of the emails and comments received from members of the public that customers are still being told untruths and are being given wildly inaccurate information by some window companies and their sales people regarding aluminium windows. Many of these myths leave the customer believing they shouldn’t have aluminium windows. Some of this misinformation is due to the customer being given information about a perceived high cost of aluminium windows and other negative feedback by the window companies regarding their performance, colour and suitability as a replacement window for the home. If you are of the opinion that aluminium windows are somehow prohibitive we offer some impartial and independent advice to help you make an informed choice. We have recently helped customers who contacted the website seeking help having had very expensive prices on aluminium windows for their homes compared to PVCu. Here are some comments from customers we have helped, typical of the kind of information and high prices some companies are providing. I have got quotes for both Upvc and Aluminium – Difference is about 200% in terms of cost £3k for PVC, £9k for Aluminium. It’s a 2 bed house with 9 windows 1 french door! This comment suggests that the customer was told aluminium windows were not thermally broken. Does this comment also imply that the customer was advised by the window company that somehow aluminium windows didn’t have a thermal break and were therefore illegal? Do all aluminium frames in the market for domestic use and supplied by local window suppliers have to be ‘polyamide thermally broken’ by law? There is great variation in quotations that I have received, up to more than 100%!! This customer comment was from a customer that clearly wanted aluminium windows for her house renovation. Yet for some reason she is being advised to forget about aluminium windows being told they’re unaffordable. I’ve bought a house that needs a complete renovation and would love to have aluminium windows. I have been told to forget about it since they are unaffordable and I’m finding it hard to get prices on the internet. Can you please point me in the right direction as to where could I find reliable suppliers in my area? Is it true that it has been illegal to sell externally beaded windows since 2004. I have just had a representative from Pembertons telling me that the company that I used 3 years ago shouldn’t have sold them to me. Personally I think there is a possibility that he is not telling the truth. These types of comments are all examples of inexperienced window companies and questionable double glazing salesmen that are somehow trying to dissuade the customer from buying aluminium. Of course we’re not suggesting that any of these companies deliberately mislead their customers in order to sell a particular product, it’s more likely that lack of experience and/or training are the culprit. If you have received similar information from a window company you have visited, please contact us and let us help you. How much should aluminium windows cost? There are several factors that affect the prices of aluminium windows. For the purposes of this article, using a typical two or three bedroom home requiring a generally “standard” window installation the typical price difference should be an uplift of between 50% to 70% compared to upvc. We regard aluminium windows as an equal part of our overall range of windows and doors and not as a costly upgrade or reason to charge more for the product. 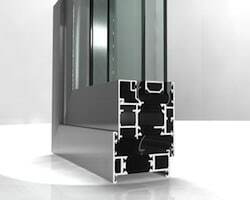 There will of course be other factors affecting prices such as installations considerations, access, trims or special cills required, but generally this should be the price difference between aluminium and plastic windows by window companies that understand and sell aluminium correctly. As with any product comparison what are the differences between the two products? In the same way as a luxury car is substantially more expensive than a budget car, is it a fair comparison when the quality, build and specification are so different? An uplift of 100% or more for an aluminium window may be accurate if it is being compared with a very cheap upvc window! Therefore it’s important to know want you’re comparing against and is the price comparison fair. There are vastly different prices between the many PVCu windows available in the marketplace. The rise of the ‘super fabricator’ means that those supplying PVCu windows can buy them faster and cheaper than ever before. Therefore if you are seeing a huge uplift between PVCu and aluminium windows what are the two products you are comparing on price? For example a standard PVCu window will appear substantially cheaper against an aluminium one. But take a premium quality, luxury window such as the Residence 9 product and the price difference should be less. Therefore, if you are seeing substantial differences between PVCu and aluminium window prices this could be a reason why. The supply chain will also affect the price you pay. The other factor that can affect the price you pay for your new aluminium windows is how they are sourced and the supply chain. In the same way many other domestic, personal or other products are advertised as bought direct from the manufacturer therefore saving you money, the same can apply to windows. The less parties involved in the supply of the product, the cheaper it can be. The window company that buys its windows direct from a manufacturer will usually sell windows cheaper than a window company that buys their windows from from a supplier that doesn’t manufacture such as a trade counter who bought the windows higher up the supply chain. The more suppliers involved in the supply chain the more mark ups and profit margins will be in place before the consumer receives their final price. Again if the prices of aluminium compared to PVCu appear very high the supply chain could be a reason why. Contact us and let us put you in touch with alternative suppliers that can could offer better prices. Are you being dissuaded from having Aluminium Windows? One has to question the motives of any window company that advises a customer who “would love to have aluminium windows” to “forget about it”. How would any customer feel walking into a BMW car showroom and be told forget about it and go buy a another model! The majority of window companies are professional, ethical and are in business to do the best they can by their customers. However if you are being dissuaded from aluminium windows with any negative comments our many years experience can give you some reasons why. If you are receiving negative feedback about aluminium there may be several reasons why. The typical commission only self employed double glazing salesman typical of many double glazing firms simply doesn’t understand the product and wants you to buy the product he can sell. This may not necessarily be the right product for you. The window company only offers PVCu windows and in an effort not to lose a potential sale will dissuade you from aluminium. Some window companies that sell aluminium perceive the product as deserving of an additional premium or price hike. Some window companies whilst offering aluminium do so with an element of reluctance owing to the differences in the ordering process or longer lead times compared to mass produced PVCu. They may try to make their lives easier recommending the product that suits them not you. The profit margins on pvcu are generally greater than aluminium owing to how cheap the product is to make and buy in. Any window company that understands aluminium windows, should demonstrate with professionalism, honesty, expertise and listening to your wishes, the differences between aluminium and upvc and allow you to make an informed choice. Why are aluminium window prices hard to find online? Double Glazing like other home improvement products is impossible to obtain recommended retail prices on. If you wish to buy a particular consumer product such as a car or a computer you generally will have an idea of what the price of that product will be. The sale of replacement windows unfortunately does not work in the same way. The windows you will purchase for you home, whether aluminium, PVCu or timber are all made to order. There are no stocks of ready made windows or doors in warehouses waiting to be shipped. There are many factors that will determine the price you are quoted. This is understandably a source of frustration for the customer. Obtaining some indication of what new windows should cost is not helped by the larger national home improvement companies either. Some of these companies leave the final price you pay in the hands of the double glazing salesman and the price he feels he can command for the product. For example a large National company can quote you £3000 for a new front door but give you a 60% discount on it. So is the retail price of the door £3000 or £1200? By comparison many independent local window companies rightly choose to simply offer the best prices they can avoiding these seemingly fantastic discounts and quotes you the most realistic price they can. Another reason for not publishing prices online is not to lose the “sales process”. It is not just double glazing that does not provide prices online, other forms of home improvements do as well preferring to give indicative prices and work with you on closing the sale on a one to one basis. There are other myths about aluminium windows that this website can dispel and give you factual answers. All of these can be backed up by technical facts and documentation. You may hear that aluminium windows are prone to condensation. This was once the case many years ago before the introduction of thermal break technology. Previously thermal break technology was based “pour and cut” or resin thermal breaks. Today modern windows utilise latest technology polyamide thermal break which has substantially improved the thermal performance of aluminium windows compared to older systems. Another substantial benefit of polyamide thermal breaks is that aluminium windows can now be different colours inside and out. A thermal break is where the aluminium to aluminium contact between the external and internal faces of a window is interrupted to bridge the cold gap that can occur . A thermal break is part of the construction to minimize heat or cold transfer. Aluminium Windows require hardwood subframes. This is simply untrue. All modern aluminium window systems are now available with Direct Fix frames (typically 70mm or 75mm front to back) that remove the need for any hardwood subframes. There are however windows available with slimmer depth frames such as 50mm that are designed to fit into existing or new hardwood subframes and importantly to match properties that aesthetically need them. Aluminium Systems companies are well aware that certain properties lend themselves to having hardwood window surrounds so for those that wish to retain their existing hardwood subframes and hardwood cills, there are new aluminium windows to suit. There are also aluminium windows to suit stone mullions! Aluminium Windows are available only in white or silver. Again this is not true. One of the huge advantages of aluminium is the sheer choice of colour. There are over 200 colours available in aluminium windows. One only needs to look at the coloured aluminium doors in shops, offices, retail parks, schools and hospitals. If coloured aluminium is possible for commercial buildings, it is possible for your home. Aluminium Windows are only suitable for commercial buildings. Aluminium windows and doors have been used commercially for many years because architects and building designers have long understood the advantages aluminium windows offer in high use buildings and particularly with commercial doors. Strength, slim light lines, colour choice, structural integrity and the ability to cover large spans are all advantages aluminium offer over upvc. It is rare to see any commercial building with PVCu windows or doors and rarer still to see PVCu facade glazing. Today’s modern aluminium windows have been designed to accommodate the many different designs typical in commercial buildings compared to the fairly standard type window in British homes. Aluminium windows for the home not only combine all the advantages offered to commercial buildings, but they are now designed with profiles to match the needs of the homeowner available in contemporary and traditional frames, ovolo, chamfered and profiled sections and many other features that make them ideal for the home. This also extends to maximum security, high strength and for the modern Grand Designs type home, the ability to create far larger windows than PVCu can. If you are a fan of property renovation programmes like Grand Designs when did you last see a PVCu window or door fitted? It should be stressed that the vast majority of the home improvement and double glazing industry is highly reputable and professional. However every window company varies in its knowledge, experience and capability. A company that may artificially inflate prices or give false information shouldn’t instantly be regarded as untrustworthy but one that may not possess the knowledge to talk to you about all windows and doors not just aluminium but PVCu. timber, fibreglass windows, composite windows and steel. Got a question about aluminium windows? Contact us. Every year we help thousands of homeowners find aluminium windows at competitive prices. If you are considering aluminium windows or doors for your property and need free, expert advice contact us. We can also put you in touch with expert and professional window companies in your area. I have a 2 bedroom flat in a 1960’s block in Weybridge. It has silver anodised aluminium windows which need replacing . The replacements have to look the same. Could you please advise of any companies that would be able to help me. Hello Malcolm, thank you for your comment. It would help if you could send a picture of the windows in question as this would help but I can suggest UK Windows Surrey, http://www.ukwindowssurrey.co.uk. If these are the old steel windows then it may be a more specialist provider, but do send an image if you can on our contact form. I feel it is missleading to say there are is a need to have windows made to fit . It happens there are many off the shelf windows that may well fit. Most openings are to brickwork and most shed shops ( DIY ) offer medium quality at a fair price with trims to make up most of any undersize. The comment is to address that UPVC is as good for the job, ware as the aluminium will have to be made to order. The cost to maintain a the frame depth if replacing a thirty year old wooden window when looking at costings. Some of the cost of making good in this case will mean plastic trims are often used. The most important thing is the person doing the fitting its not so much that you are putting in the hole. Can you help? We have a 1930’s house in Flintshire. The house currently has aluminium windows in hardwood frames. We are now embarking on a garage conversion but are struggling to find a company that can assist to replicate two new windows to match the existing. Hi Claire, it would be useful to see a picture of the windows, but get in touch with Jennyfields in Farnham. http://www.jennyfields.co.uk they should be able to help in replicating your existing windows. What would be the approximate cost of a single aluminium internal door. Hi Jean, it really depends on the design, whether it has a midrail or not, colour and other details. Typically you can expect to pay between £1100 and £1500 for a glazed door without a midrail in a colour. Hope this helps, please don’t hesitate to get in touch if you’ve any questions or need further information. size,I guess.We have no access to the house at the moment,so I can not provide you with an exact dimensions but it will be about 2 meters long by 1.80 meter high screen/door and if we decide to do enclosure it would be one more screen about 1.50 meter long and 1.80 meter high on the other side.Would you be able to provide me with prices,even if they are not exact(I understand that depends on the many different factors like glazing,materials etc).I am interested not only in product itself,but in installation too.I am trying to sort our budget at the moment and would like to know what price range we should look at?It would be grate if you cold help me with it,even if it is “from- to”and companies in our area who could help.Many thanks in advance. Hi Matt, the choice of aluminium windows apart from price will also depend upon the particular aesthetic you are looking for. There are standard windows, flush casement windows, slimline and steel look windows as well as different types of opening windows. I have emailed you separately, but it would be helpful to have an idea of the kind of style you’re looking for. Regarding buying off the shelf, there are no standard size windows available to the best of my knowledge as all are made to order. Please could you put me in touch with reputable installers for home windows in EH12? Many thanks. Hello Rob, thank you for your comment on the Aluminium Trade Supply Website. We’ve had really good feedback on Abode Bifolding Doors, http://www.abode-bifoldingdoors.co.uk that serve your area and should be able to help. Hi, just wondering how well aluminium windows will hold up in coastal areas? Some stockists I’ve seen don’t guarantee their windows if within 500m of coastline. Also, can you recommend an installer in North Somerset please? Hello Claire, we wrote an article about windows and doors in coastal locations that hopefully explains to you how the process works. I can suggest Aspect Windows in Exeter that should be able to help you with aluminium windows and doors with a marine/coastal warranty. http://www.aspect-windows.com. Hello Michael. Our website is an information resource only and does not quote directly or provide any products. If you’d like to get in touch via the contact form with your location, I can put you in touch with a local supplier. Hello Nigel, have replied by email to you. http://www.aspirebifolds.co.uk or http://www.ukwindowssurrey.co.uk should be able to assist you. Hi, we are having a home renovation, we want aluminium windows and would need 3-4 of them instead of upscale windows.the cost from different companies varies from 585 for 3 pane window to 1346.We don’t know which company to go for but the cheapest provider called slide and fold.Their bifold doors are cheap as well. Please advice what I should be looking out for as we are tempted to go for the cheaper ones. Can you put me in touch with a supplier in or near Lancaster please? I’m renovating a house from 1969 and need a quote for 15 windows/doors. Hello Jan, thank you for your comment on the Aluminium Trade Supply Website. Im not sure exactly for Lancaster but the below companies should help and serve your area. steve@northwestbifolds.co.uk Please speak to Steve Sharples. Hello Charlotte, thank you for your comment on the Aluminium Trade Supply Website. There are a couple of companies I can suggest for you. Tel: (01202) 535999 or 535949. We’re looking to change our upvc doors in our kitchen and living room to aluminium framed sliding doors. We’d like them to be as slim framed as possible. Can you recommend any suppliers in Kent please? Hello Claudette. Yes, there are a few I can suggest for you serving Kent. Im looking for 3 alluminium windows and a 3 panel bifold door in alluminium in Scotland. Im really looking for any advice and contact info re manufacturers that i can go to for a quote on my shopping lust pleasr. Thank you for your comment. The below company should be able to assist you. Thank you very much for your useful article. We are renovating our house and are planning on potentially replacing an outside wall with Aluminium framed glass panels. The design will depend on the price. Minimum will be a 2 x 2 m centre Patel and potentially 2 trapezoid son either side 1.3 across, 1.3 short vertical side, 2 m long vertical side next to the 2 x 2 m.
Can you recommend a manufacturer near us. We live in a village near Basingstoke in Hampshire. Thank you for your comment. The below company should be able to help you. Excellent website. Can you recommend a company to fit aluminium windows and doors near to Malton in North Yorkshire. Hello Paul thank you for your kind comment on our website. I can suggest the below companies. Also Clearview Doors have a number of showrooms in Yorkshire. Very informative site – thank you. We have a curved bay window needing replacement and find that uPVC is so chunky. Can you recommend a double glazing company in Hertfordshire that will give us a fair price? Hello Harry, thank you for your comment on our website, can suggest the below that should be able to help you. Looking for an aluminium window installer in Glasgow or west central Scotland. Any recommendations? Thank you for your comment on the Aluminium Trade Supply Website. The below should be able to help you. The Smart Systems Alitherm Heritage 47 system is excellent as a steel look door and window and is one of the most authentic looking products on the market presently. The below should be able to help you.. Thanks for the helpful article. Do you have any recommendations for suppliers in East London, please? Thank you for your question. I can suggest the below for you that may be able to help you. Thanks, I enjoyed reading your article. We’re involved in a house renovation in Saffron Walden, Essex, would you be able to recommend some suppliers for grey aluminium windows. Hello Caroline, the below serve your area and should be able to help. I’m looking for a reasonably priced Aluminium front door preferably Schuco. Can you please connect me with a supplier around harrow area? I’ve been quoted 3k by a company in East London which seems too steep. Also worth looking at the Virtu-al aluminium-look door that we know is very authentic looking, even if not aluminium! Aspire Bifolds in Epsom can help you with this. We’re currently renovating a 30s ex local authority semi in West Sussex and would love to have aluminium casements instead of UPVC, can you recommend affordable local suppliers please? Hello Matthew, the below should be able to help you which is a smaller local business, hopefully with affordable prices. Hello Simon, give the below a call and they should be able to help you. Please speak to Alan Burden. Hi Charlotte, thank you for your questions. Yes i find it strange that it’s worth importing windows and doors. I think the best thing to do is choose the windows and doors you like and then get in touch with the relevant systems company. Or get back in touch and I can assist. I think the systems company will know which one of their fabricators may export. Also, as many systems companies do have a worldwide presence, such as Schuco, Kawneer, Reynaers etc, they might be able to help with a more local route to source your new windows and doors. Hello. Thank you for a very informative page. Could you recommend a supplier in Fleet, Hampshire, please? We are building a new house, and looking at Aluminium windows. We’ve spent a lot of time looking at Origin, and also a supply only from a manufacturer, but struggling to get a working quote. Time is moving on and we need someone appointed soon. We require 5 doors, about 20 windows and 2 dormer windows. One window is 3.5m x 1m. It’s a CV postcode and I’m looking for a good quality product including bifold doors and composite external doors that would suit a cottage style property. Hi Lesley. Get in touch via the contact form on the website if you like, but are you struggling to get a working quote from an Origin Dealer or a supply only price? Your project sounds like a nice job with a good quantity of windows and doors so I would expect a good installer to be very keen for your business. I’m looking for company that could quote/supply replacement All windows and doors for a 18c property in the Corwen (LL21) area. Can you recommend suitable companies I can approach. Hello Simon, get in touch via the website, with any particular requirements and we will try to assist you. Thank you for a really useful and informative resource. Please could you recommend a company that could provide a quote in the Norwich area. Hello Michael, I can suggest the below that should be able to help you. sarah.jermy@sunflexuk.co.uk for a local dealer. Hope this helps, please do get in touch if you need any more information or assistance. Please do you have a recommendation for a supplier in swansea, south wales? We need 29 windows, french doors and 2 sets of sliding or bifolds. Hi, I am currently refurbishing a 1930s 3 bedroom semi in York. Please could you recommend some locals companies I can get aluminium windows (including bay windows) and sliding doors from. Hello John, thanks for your question. Can suggest the below for you. Who makes the best aluminium windows?